You may think you’re looking at a bizarre painting, but look closer, and you’ll realize that it’s actually an anamorphic 3D sculpture. 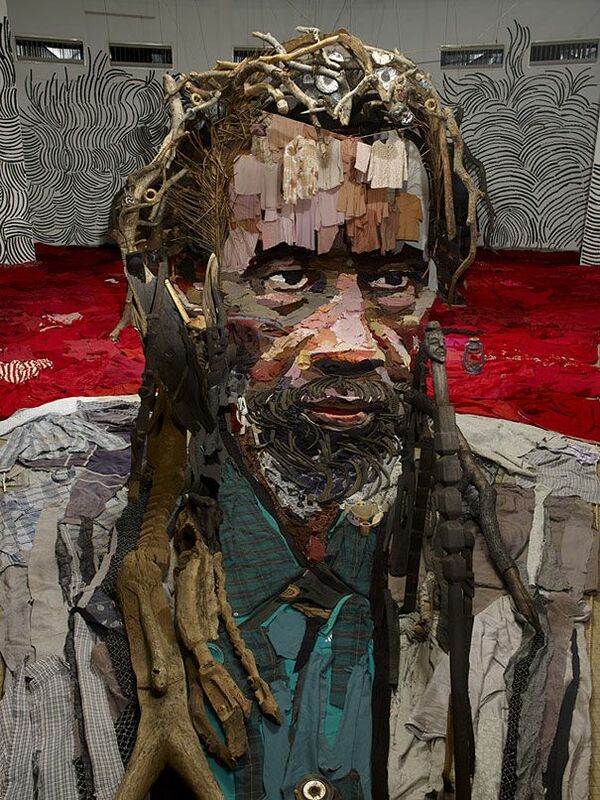 The massive portrait of Malian actor Sotigui Kouyaté is the latest work of French artist Bernard Pras. 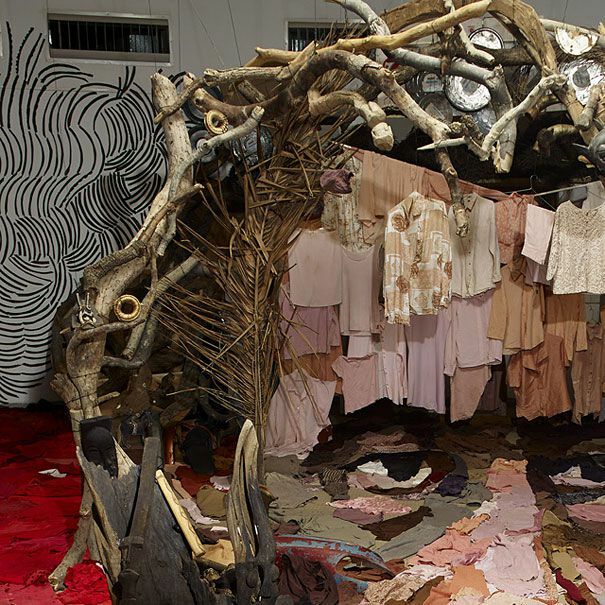 It was created entirely out of recycled materials such as clothes and rags, wood, glass lanterns, dishes, rubber and other trash Bernard would gather from the installation site. The way it generally applies to anamorphic art, Bernard’s work can only be seen from a certain angle. 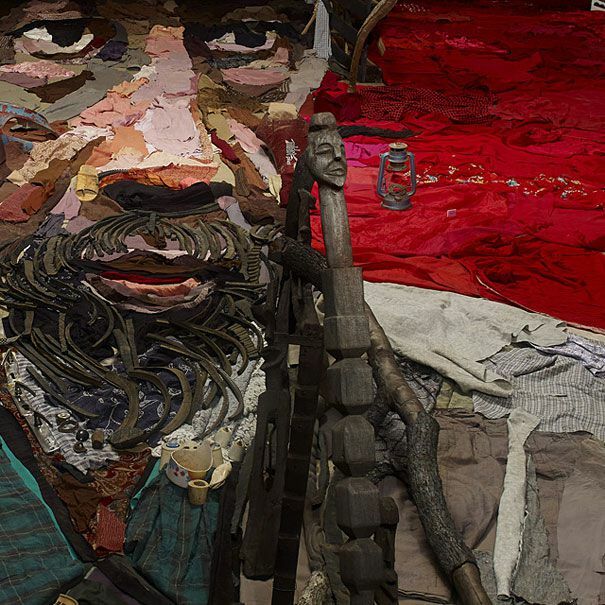 If you look at the installation from any other point of view, a pile of trash is all you will see. Bernard’s camera, however, finds just the perfect spot to capture the sculpture in a way that makes it look like a 2D painting. Check out the video below to see how it was made.